So, what is Baby Yoga? It’s a fun exercise session for both you and your Baby, consisting of gentle movements and stretches, lifts, holds and swings. It offers your baby physical and mental development and stimulation, through the combination of touching, handling, singing and stroking, which brings about a powerful multi-sensory experience. The Post-Natal element of the Classes help to gently tone and strengthen those areas in need of attention after having your baby – you know where they are! Abs, Pelvic Floor and Upper Back and Shoulders receive a good workout in each session. A perfect way to gently get back into appropriate exercise for your newly Post-Natal body. As a new parent, you will learn to increase your confidence in actively handling and holding your baby. The Yoga movements enhance the development of your Baby’s nervous system, whilst strengthening their muscles and spine. It can help soothe an anxious baby, relieve colic and improve sleep patterns. In a 20 minute session, your Baby will receive as much physical activity as they would normally in a full day. This extra activity often leads to babies sleeping for longer and more deeply after a Yoga session. Yes, they really do! 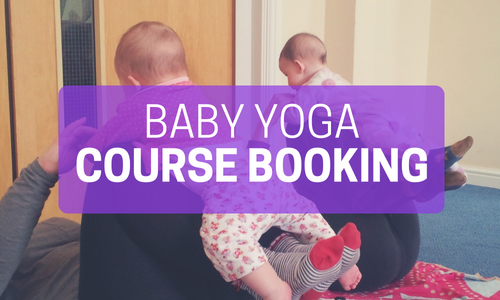 Book your place on the next 6 Week Mother and Baby Yoga course here. 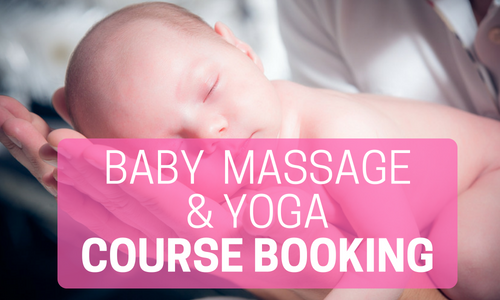 Please make sure you have completed the booking form on the Baby Classes page (unless you are booked onto a Baby Massage course – I will already have all your details). If you attended the Baby Massage course, please get in touch with me for your discount code.